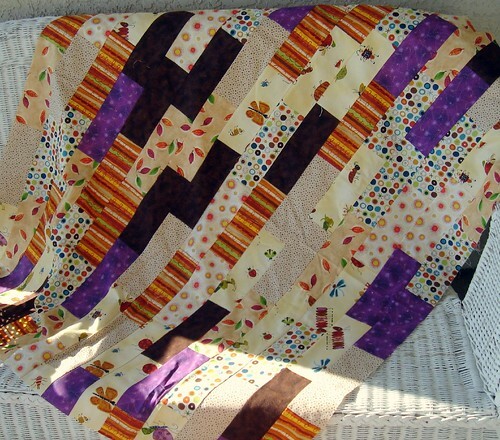 This is the first of two very similar quilts using the Amy Schimler fabrics I bought last week. The bricks in the quilt are 3" by 8". I haven't decided if I'll border this one or not, mostly because I haven't found a fabric that really stands out as it's border. The quilting will be random free-motion, either in gold or ecru thread. oh, I love Amy Schimler too!! 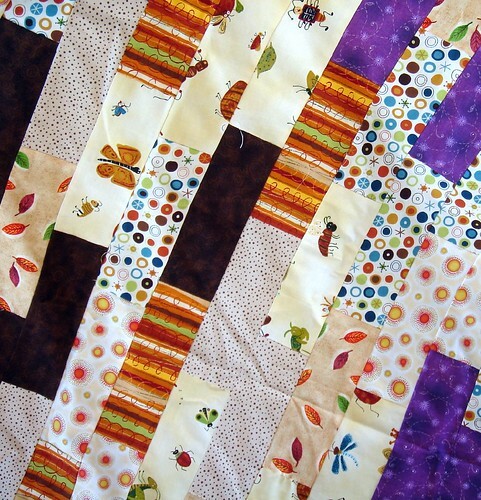 I would add a narrow border (that dark purple maybe or black) and use those bigs as the border! Totally adorable! great job with her fabrics!